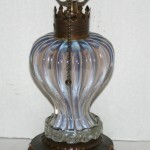 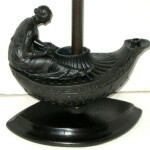 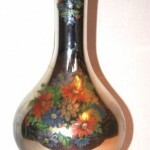 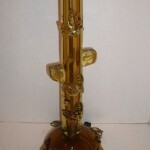 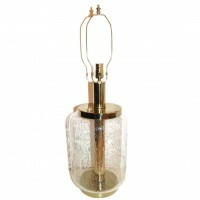 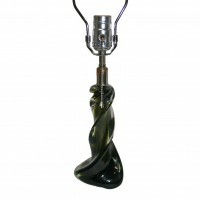 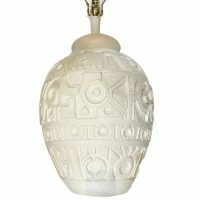 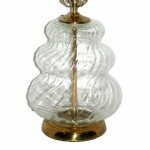 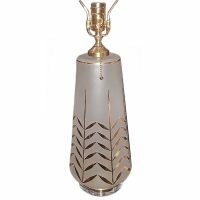 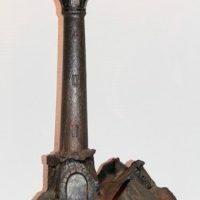 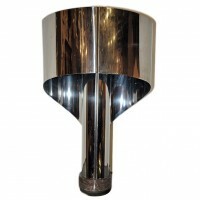 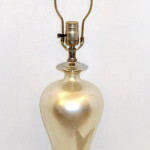 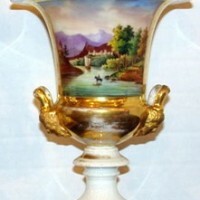 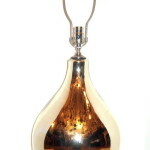 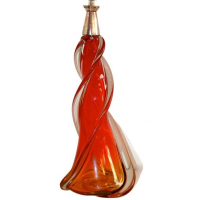 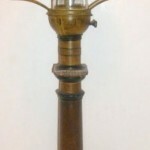 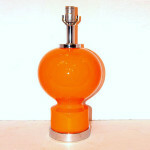 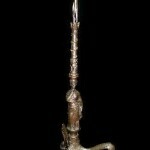 A circa 1940 French mercury glass lamp . 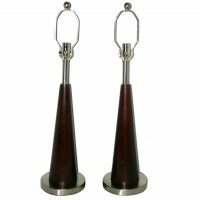 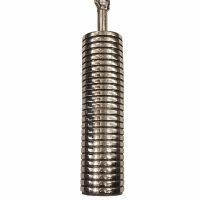 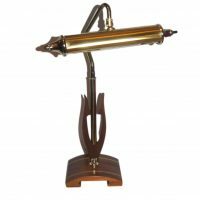 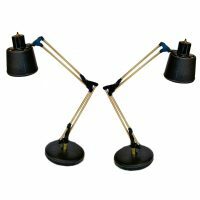 Measurements: Height of body: 18.5" Height to shade rest: 31.5" Diameter: 11.5"
A pair of circa 1950's Italian leather-stitched articulating desk lamps with weighted bases. 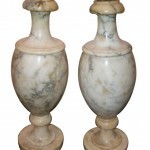 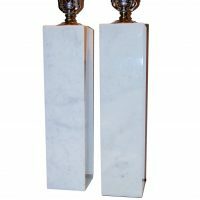 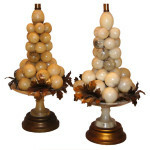 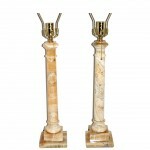 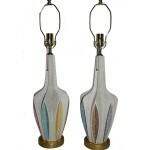 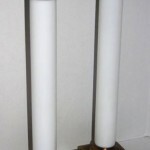 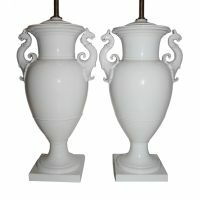 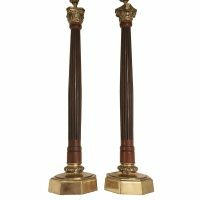 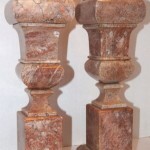 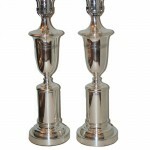 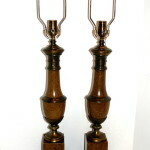 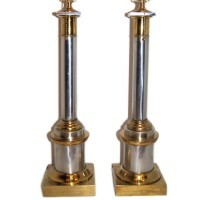 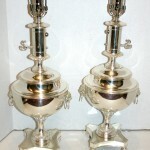 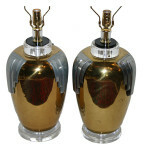 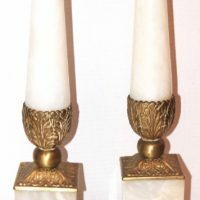 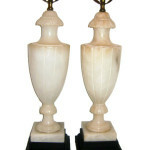 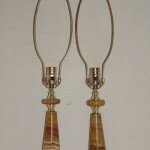 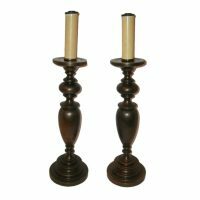 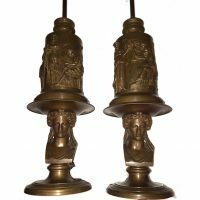 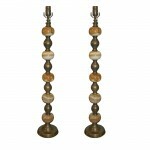 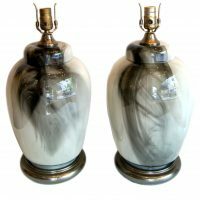 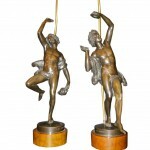 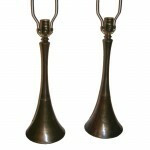 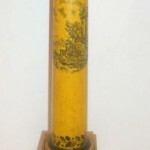 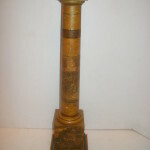 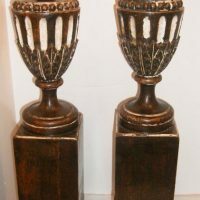 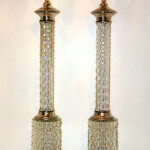 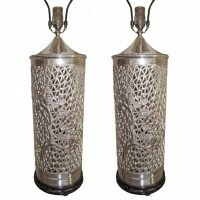 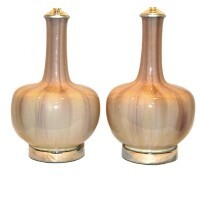 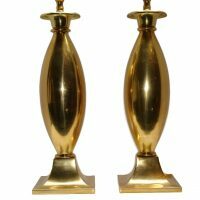 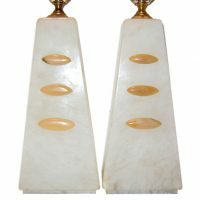 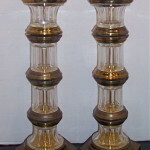 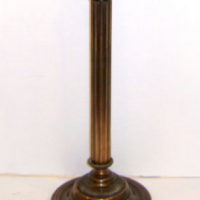 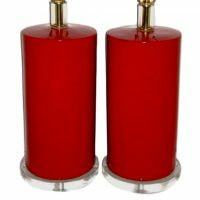 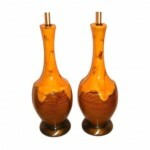 Measurements: Height (Maximum): 32" Diameter (base): 9"
A pair of 1950's moderne style table lamps with original patina. 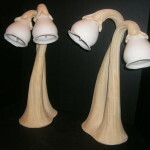 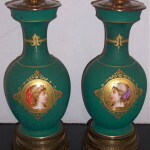 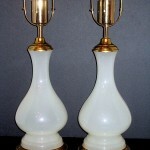 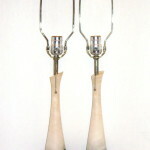 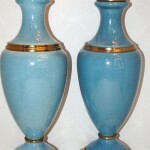 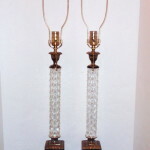 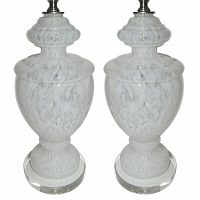 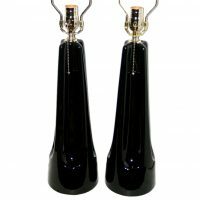 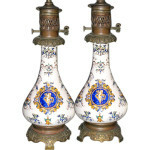 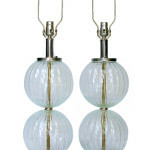 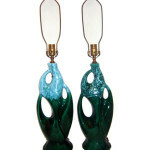 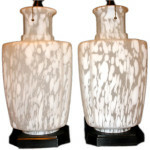 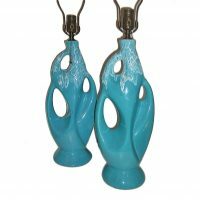 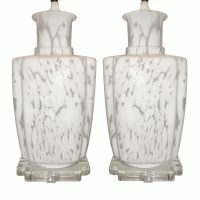 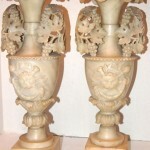 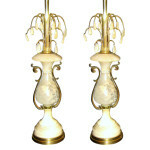 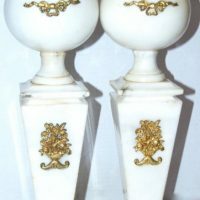 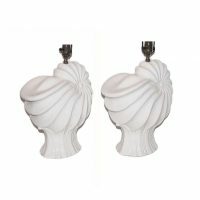 A pair of 1960's French molded glass table lamps. 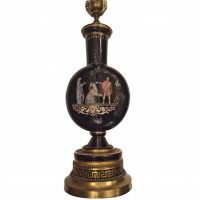 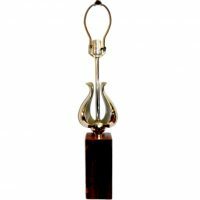 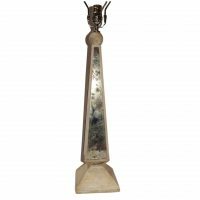 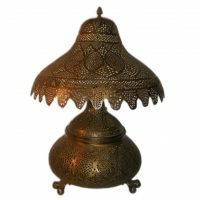 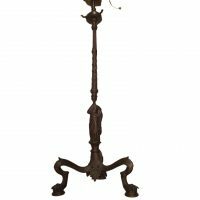 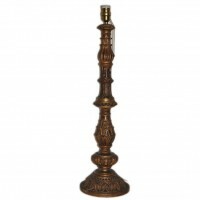 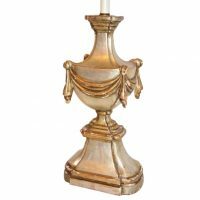 Measurements: Height of body: 20.5" Height to shade rest: 29.5"
An English, circa 1920 neoclassic style glass lamp with painted decoration. 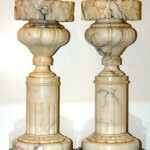 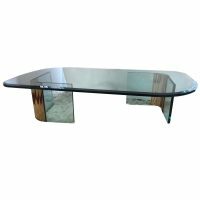 Measurements: 16" height of body 209 East 59th Street.